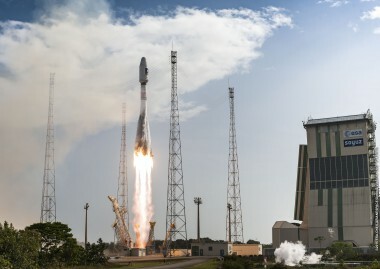 For its 12th flight of the year, and the 13th Soyuz launch overall from the Guiana Space Center (CSG), Arianespace will orbit another pair of satellites for the Galileo constellation. 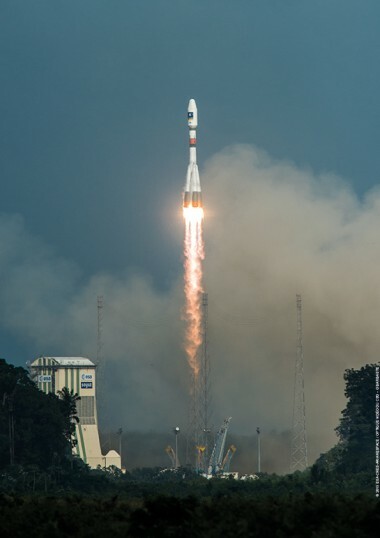 This mission, conducted for the European Commission under a contract with the European Space Agency (ESA), will orbit Galileo FOC (Full Operational Capability) satellites 11 and 12. 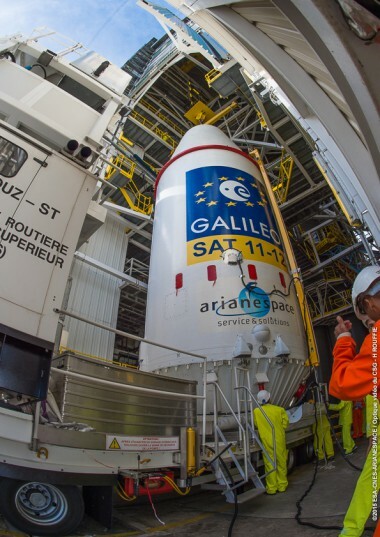 After this flight, 12 Galileo satellites will have been deployed by Arianespace, which is proud to be serving Europe as launch service provider for this its independent access to space. Galileo is a European initiative to develop a new global satellite navigation system. Under civilian control, it will offer a guaranteed, high-precision positioning service and will end Europe’s dependence on the American GPS system. 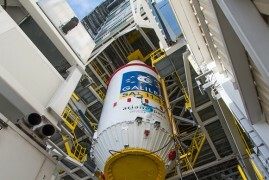 Galileo is the first joint infrastructure produced and funded by the European Union. It features innovative technologies developed in Europe for the benefit of all citizens. 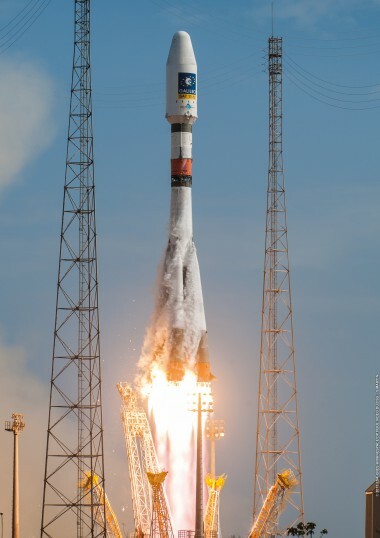 Arianespace orbited the Galileo IOV 1 and 2 (In-Orbit Validation) satellites on the first Soyuz flight (VS01) on October 21, 2011, followed by IOV 3 and 4 on VS03 on October 12, 2012, all from the CSG. 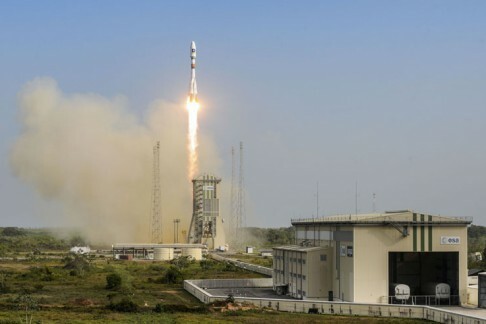 Prior to that, the GIOVE-A and GIOVE-B experimental satellites were launched from the Baikonur Cosmodrome by Soyuz (via Starsem) in 2005 and 2008. 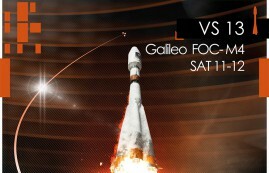 The first two Galileo FOC satellites (5 and 6) were launched on August 22, 2014. 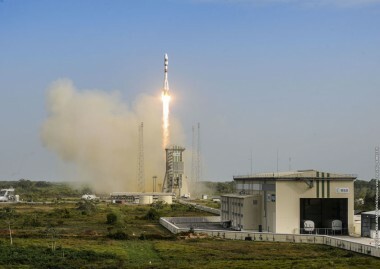 Despite injection into a non-compliant orbit, the ESA teams were able to validate their operation, then reposition them so that they can contribute to the constellation. 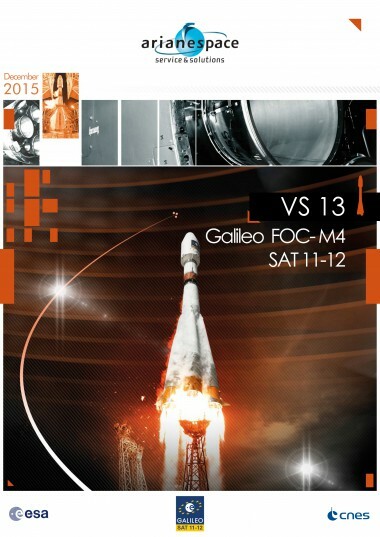 On March 26 and September 10, 2015, Soyuz flights VS11 and VS12 successfully launched Galileo FOC satellites 7, 8, 9 and 10. 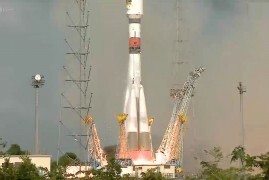 After this latest launch, Arianespace will pursue deployment of two more FOC satellites using a Soyuz rocket, followed by 12 using three Ariane 5 rockets from the CSG. The next mission for the Galileo program is planned for the second half of 2016, using the first Ariane 5 ES, which will carry four satellites. 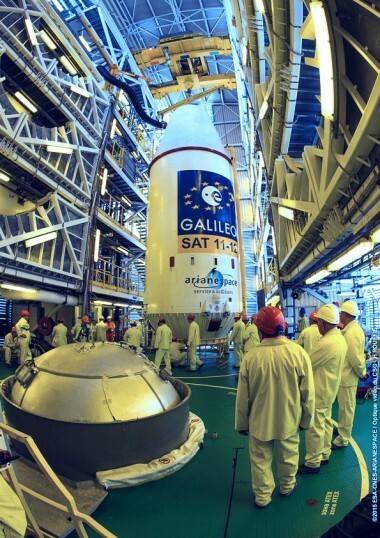 The Galileo satellites are built by prime contractor OHB System in Bremen, Germany. The payload for each satellite is supplied by UK-based Surrey Satellite Technology Ltd (SSTL), which is 99% owned by Airbus Defence and Space. These will be the seventh and eighth OHB satellites launched by Arianespace. The next 14 are under construction at OHB in Bremen. 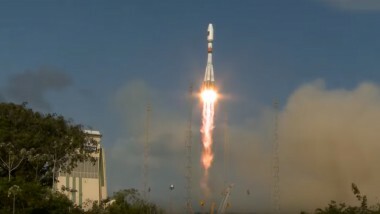 12 for 12: Arianespace concludes its record-breaking 2015 with another success for Europe	With 12 successful launches over 12 months, Arianespace’s mission performance in 2015 was one for the record book – concluding with today’s Soyuz flight that further expanded the European Galileo global navigation satellite system.